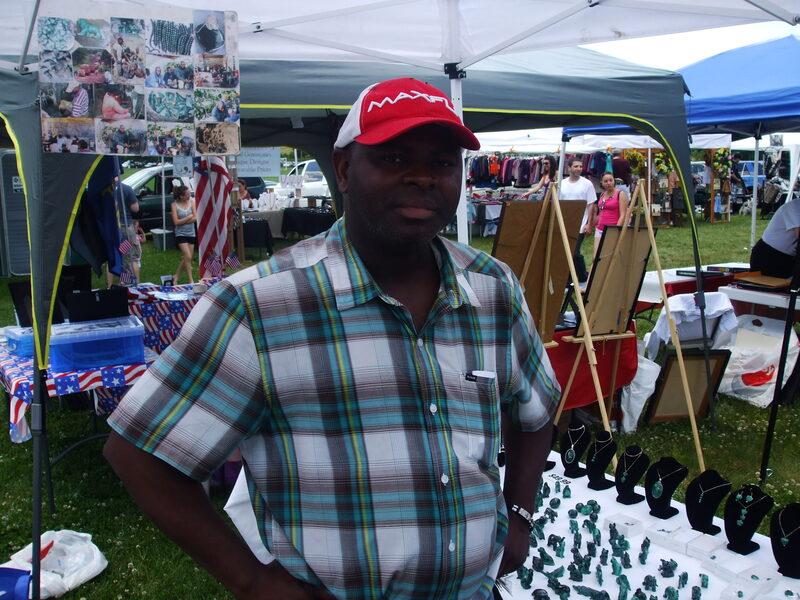 Members of the NEHW were photographed by Ted Glanzer, the editor of the South Windsor Patch website during South Windsor’s Strawberry Festival and Craft Fair on June 16. 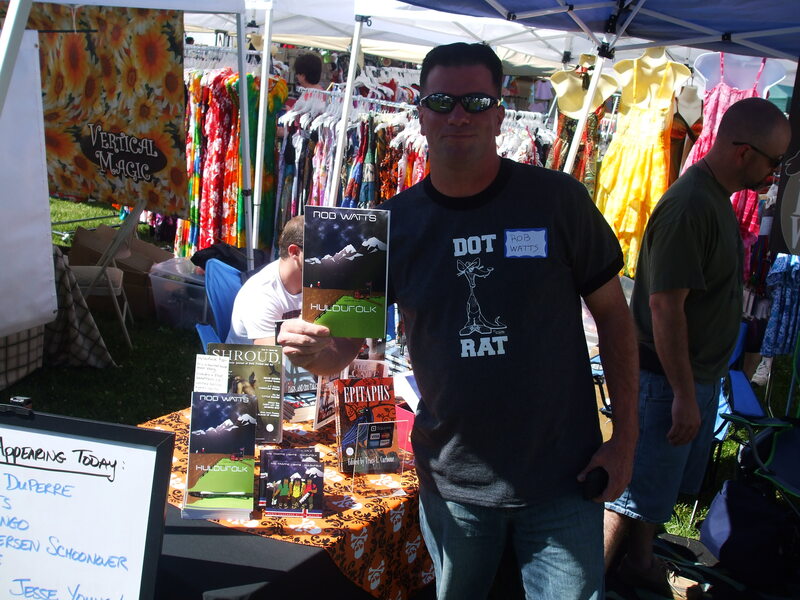 Check out Patch’s sideshow by clicking here. The Patch websites are a wonderful place to get all types of news. Find your local Patch by going to www.patch.com. Jim Kukral has started up a free service for fiction and non-fiction authors called the Author Marketing Club. Author Marketing Club is a community of authors who are going through the same pains and successes, and who want to work together to help one other learn how to promote their books. We just recently published a Kindle edition of Internet Marketing from the Real Experts, and from that experience I can say Jim is providing really useful tools and resources for anybody interested in publishing. One of the useful resources available is a video, How To Upload Your Book To Amazon. You should really watch that if you want to publish to the Kindle. This article originally appeared on Shawn Collins’ website. 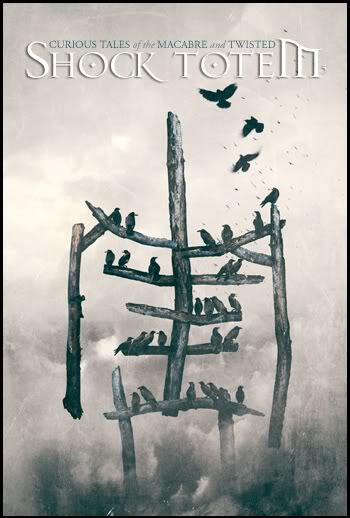 Author Peter N. Dudar’s debut novel, A Requiem for Dead Flies, was released by Nightscape Press on June 19. After their mother’s miscarriage, Lester and Gordon MacAuley were sent to Battle View Farm to stay with their grandmother for the summer. But the house on Battle View Farm has a haunting secret. As Grandma Vivian slowly slipped into madness, the brothers’ lives became entangled in mortal danger. That summer of terror left them scarred and plagued by the family’s dark secret. Now, years later, the MacAuley brothers have returned with dreams of breathing new life into Battle View Farm. 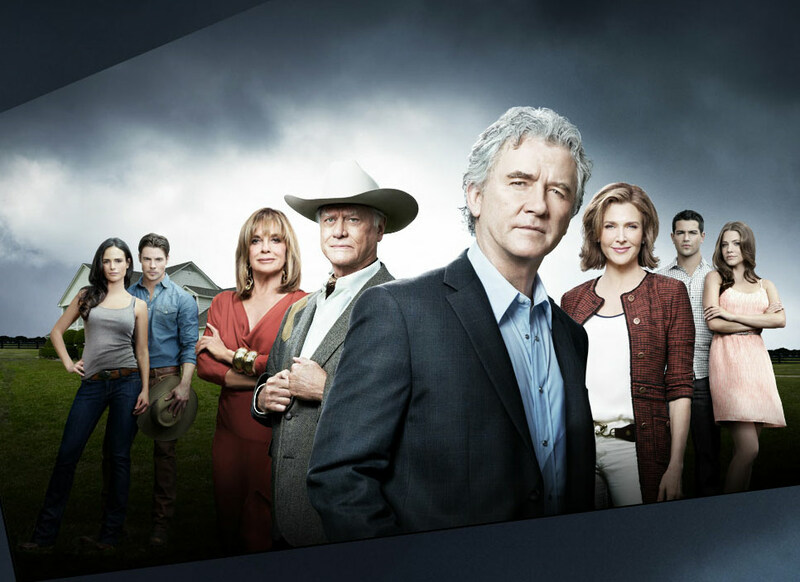 But living in the house on Battle View Farm, they are forced to face their past and solve the mystery that began generations ago. And to face the ghosts that still haunt their family’s legacy. A legacy written in dead flies. Dudar’s novel is available in print for $12.99 and in e-book formats for $2.99. Dudar’s writing isn’t new to the New England Horror Writers since his story, “Church of Lightning and Thunder,” was included in the NEHW’s first anthology, Epitaphs, which was published last October. Every story I read or write involves a promise. It is the pledge that an author makes to the audience that they will be rewarded for their faith in the story. In romance, the promise is love. Mysteries guarantee the satisfaction of the unraveling of a puzzle. In horror, the promise that the writer makes to the reader is the he or she will evoke fear. I understand the attraction of “subtle” and “atmospheric” tales; well done (and how I love them when they’re well done), they can produce a wholly satisfying sense of fearful dread. But I’d also say that even in atmospheric horror, the dread the reader feels is the result of the promise of what is being subtly revealed. And that pledge is exactly the same as it is for extreme horror. The deepest root of fear is the threat of violence. Just because someone doesn’t have whip welts on their back don’t think there hasn’t been violence. That is to say, all horror assures violence of some kind: physical, psychological, spiritual, etc. Without it, what have you got? A ghost isn’t scary merely because it is a ghost. Neither is a man holding a knife. Both must offer something to the reader to evoke fear. To expand on an example given by Alfred Hitchcock, a bomb underneath a table is more terrifying if the people in the café carry on their conversations unaware of its presence while we, the viewers, know it is there. But the bomb is only frightening in the first place if three conditions are met. First, we must understand the underlying concept of a bomb. Since most of us possess an understanding of a bomb’s only purpose (destruction), we can leap into the conceptual future and imagine the result of the ticking timer reaching zero. The second condition is the story-teller’s willingness to make us believe that the device might actually go off. If we know the bomb’s a dud or the hero will always defuse it at the last second, it is simply not scary. Finally, and most importantly, is our ability to put ourselves in the place of people in that setting—to be present at the table with violence and death. Fear exists is the moment of transformation from the known to the lived—bridging the gulf between academically understanding danger exists and being in danger. Thus, the sine qua non of good horror, as I see it, is the transformation of the reader from subject (i.e., conscious observer) to object (i.e., victim). In a horror story we want the babysitter to hide because we are vicariously experiencing events from her perspective. As long as she remains an observer hidden from view behind slatted closet doors, the tension dissipates and we relax. Until she is discovered. The scariest scene to me in John Carpenter’s Halloween (to stray again from the written word for a moment) is when Laurie Strode believes she has defeated the Shape and collapses in the doorway of the bedroom from which she has just escaped. Behind her, perfectly silent, Michael Myers sits up and turns his head toward her … and keeps going all the way toward us. In this subtle breaking of the fourth wall, Carpenter assures us that being seen is the onset of violence. Let me give a more concrete example. My wife and I are what I like to call shoe-leather tourists. That is, we like to see the cities we visit on foot, moving between neighborhoods without mediating our experience from behind the barrier of a cab or a rental car window. On a trip several years ago to Salvador, Bahia (Brazil), however, we were told that we could we not walk the neighborhoods between the hotel and the historic district without endangering ourselves. The hotel concierge assured us also, once at our destination, that we should stay on the main thoroughfares. As long as we could see shop signs, he explained, we were reasonably safe. Wander down a side street, however, and we would again be taking unnecessary risks with our well-being. Taking his advice, we stuck to the main streets. But it is impossible to move in a city without at least passing those side streets. And it’s just as impossible (for us, anyway) not to look up them, curious what wonders or terrors await. Passing by a narrow alley in Cidade Alta, the Upper City, we paused. Half way down the alley, three men vigorously kicked and beat a fourth who lay motionless on the ground. It was a sobering experience until one of the men administering the thrashing looked up from the object of his wrath and made eye contact with me. Then the promise was made and it became a terrifying experience as I became an object in the gaze of another. Reflecting upon that moment, I came to understand in a visceral way (the known becoming the lived) the existential horror of a shift of perception. Years later and thousands of miles away, those men are still present with me. I’d had a direct experience dreading the shifting gaze of The Other. What was scariest about Salvador wasn’t its reputation for violence, but rather the actual in-context promise of it. The difference between being and not being a body in an alley for me was merely a matter of shifting observations and the promise of what may follow upon. That experience, has helped me truly understand the blurring of lines between the observer and the observed and between voyeurism and engagement. Emotional and psychological detachment from someone else’s suffering—what Michel Foucault would call the “medical gaze,” the dehumanizing separation of the patient’s body from the patient’s identity—is anathema to good story telling and the frequent problem with all bad story-telling, extreme or atmospheric horror or in between. The beating heart of fear is found at the point where the wall between knowing and experiencing comes crashing down, leaving the observer exposed. And it all begins with a look. I promise. The observer who identifies with the monster is either missing the point or is in it for a different kind of titillation. To finish the tale, we fled and found a sympathetic policeman with a smattering of English (not an easy task on either count) as quickly as we could, doing our best to describe what we saw and where we saw it before going on with our vacation. 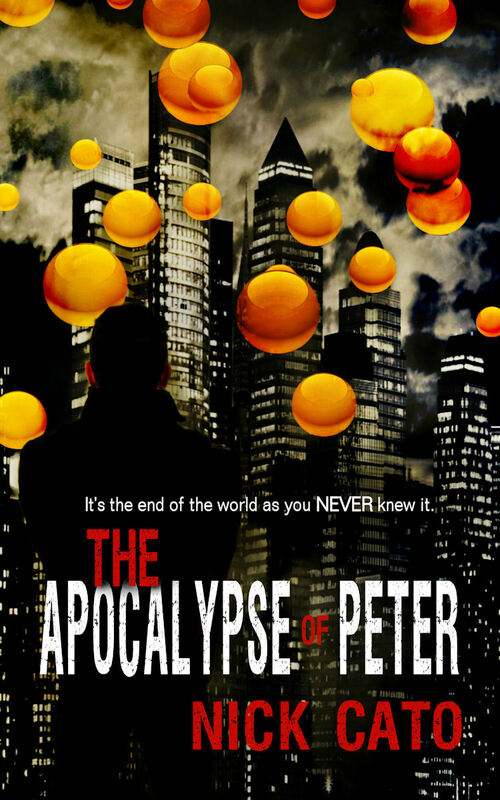 Author Nick Cato’s novella, The Apocalypse of Peter, was released June 1 by Damnation Books. It was edited by Tim Marquitz and the cover art was done by Dawné Dominique. The book’s synopsis: “It’s the end of the world as you newer knew it. Seminary student Peter Barnes and his senior friend, Harvey Connor didn’t expect the last days to include neon meteor showers, unexplainable mutated creatures, or that they’d be housing an all-girl rock band. Thinking they must be the last people on Earth, Peter’s understanding of all he had been taught becomes rapidly overthrown…especially when a young, ghost-like figure calls him and an offbeat army on a mission to go up against a most unusual foe. Peter’s faith is thrown through the ringer as he gets closer to discovering just what it is that has turned the planet into a festering eye-sore of theological chaos. Cato’s novella is available on e-book for $4.50 and in paperback for $12.89 on Amazon. 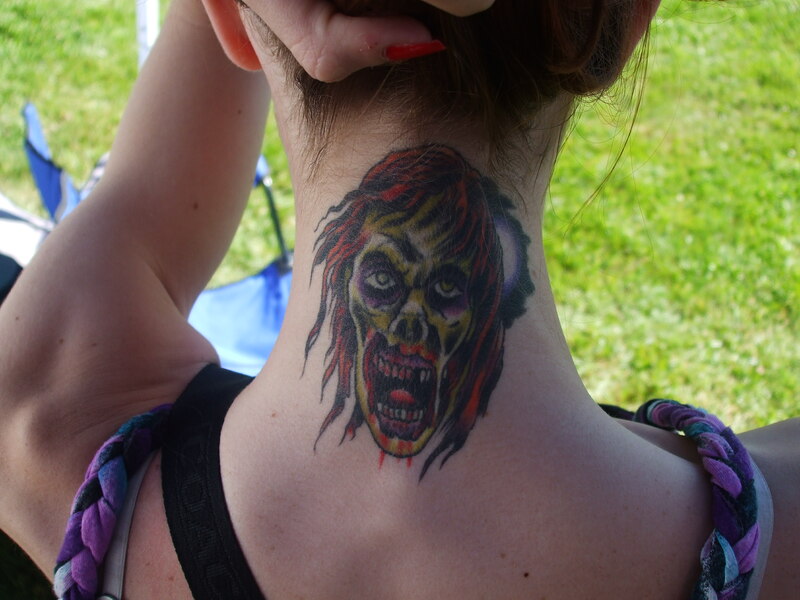 Jackie Lewis, of Berlin, CT., shows off her zombie tattoo, her very first tattoo. Photo by Jason Harris. Zombie fan Jackie Lewis. Photo by Jason Harris. 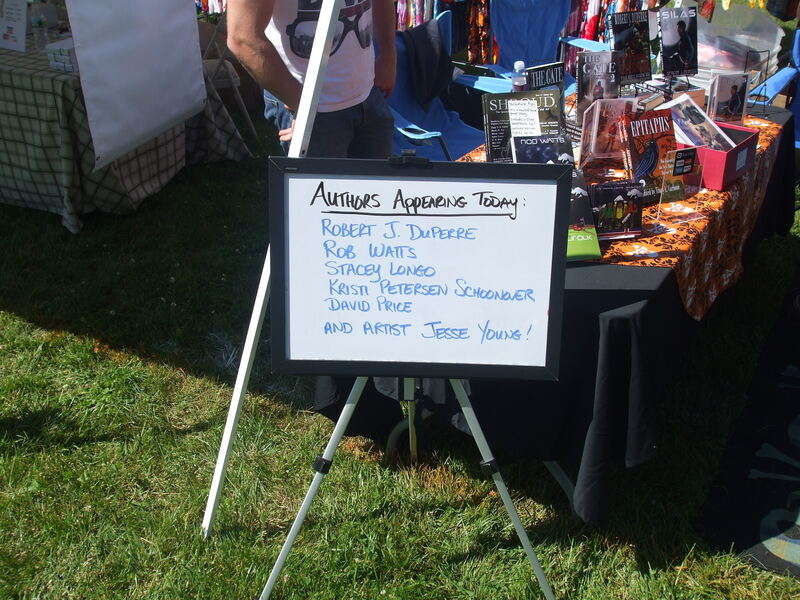 The white board showcasing the event’s authors. Photo by Jason Harris. 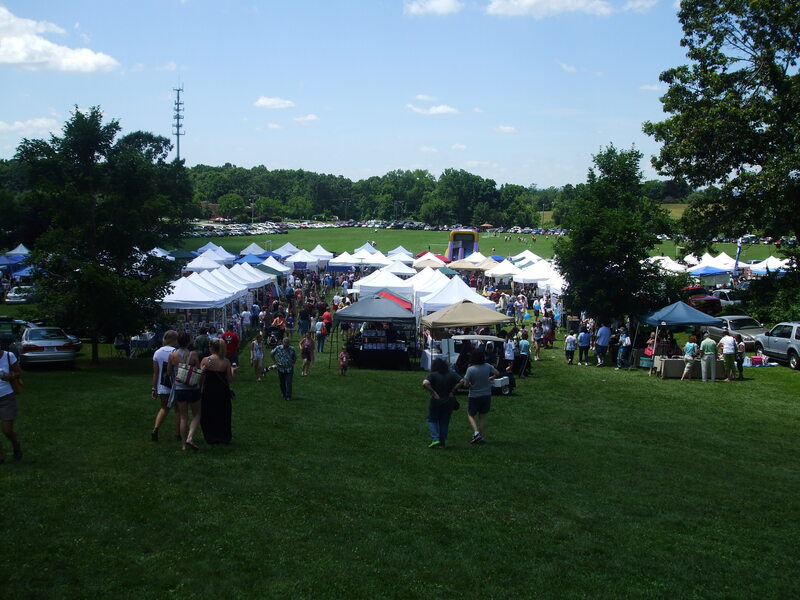 A view of the South Windsor Strawberry Fest and Craft Fair set-up. Photo by Jason Harris. Author Rob Watts holding his book, Huldufolk. Photo by Jason. 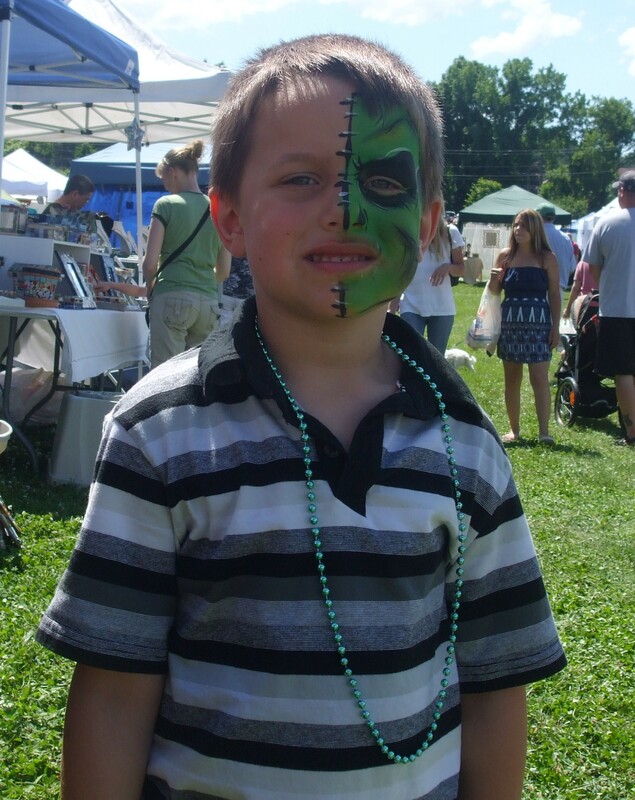 Vernon resident Colin Grieve sporting his new zombie face-paint. Photo by Jason Harris. 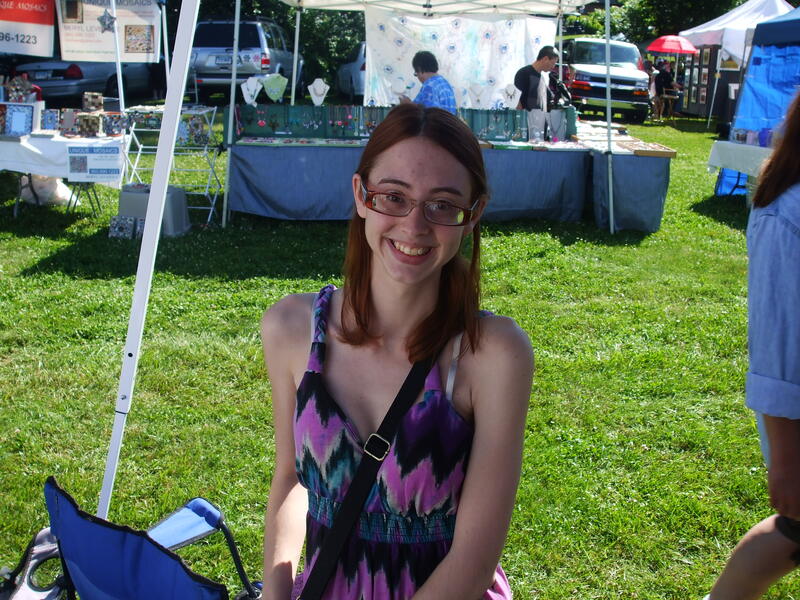 Illustrator Jesse Young behind one of the NEHW tables at the South Windsor Strawberry Fest and Craft Fair. Photo by Jason Harris. 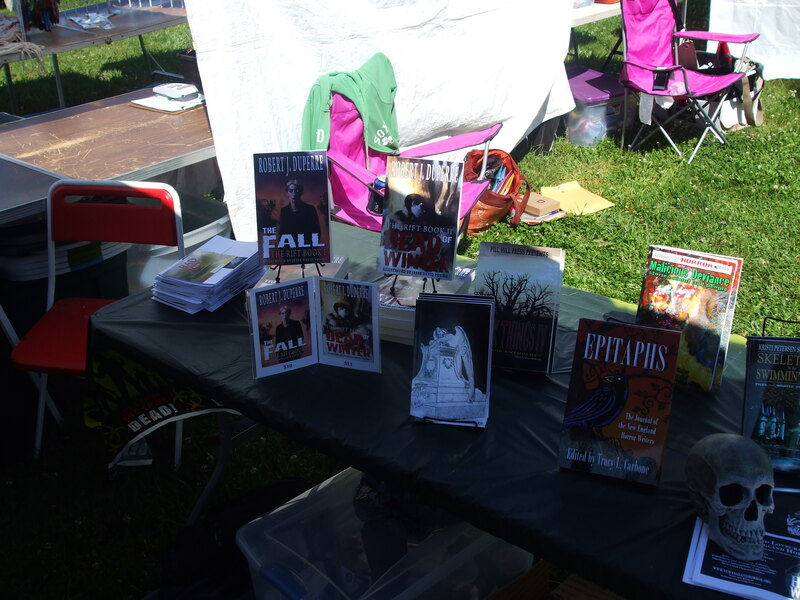 A NEHW table at the Strawberry Fest. Photo by Jason Harris. 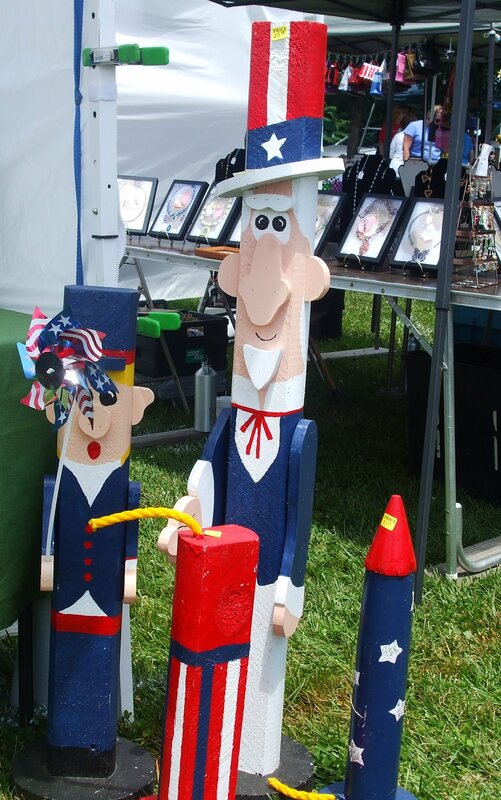 Harry & Hio’s Woodworking LLC at the South Windsor Strawberry Fest. Photo by Jason Harris. Another view of the NEHW table at the craft fair. Photo by Jason Harris. Authors Kristi Petersen Schoonover and Stacey Longo. Photo by Jason Harris. 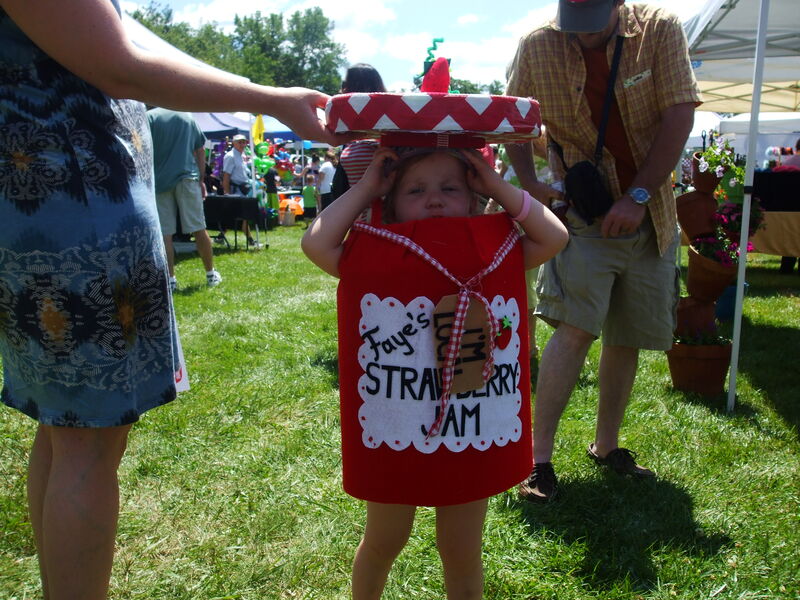 Faye Benedict, of Coventry, dressed as Strawberry Jam. Photo by Jason Harris. 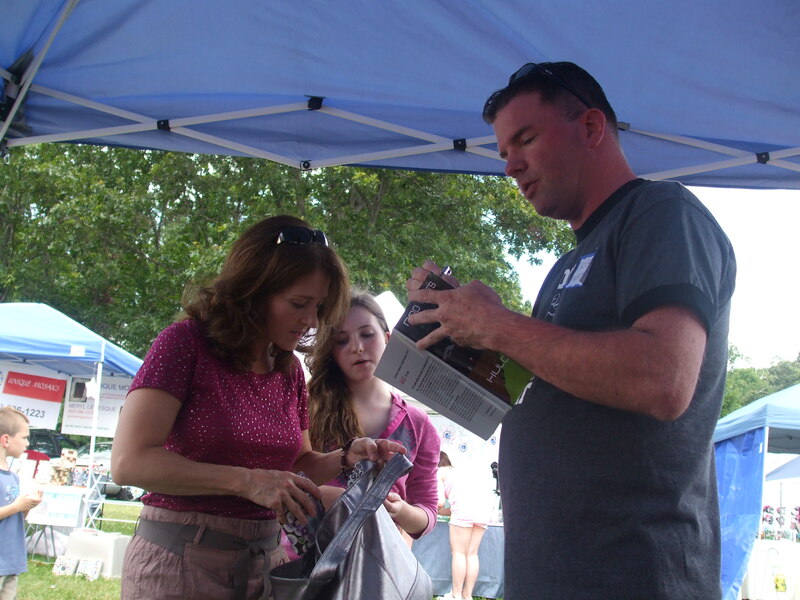 Author Rob Watts autographs a book for Granby resident Laura Begin while her daughter looks on. Photo by Jason Harris. Items designed by Specialty Metal Products. Photo by Jason Harris. NEHW members from left to right: Jesse Young, Robert J. Duperre, and David Price. Photo by Jason Harris. 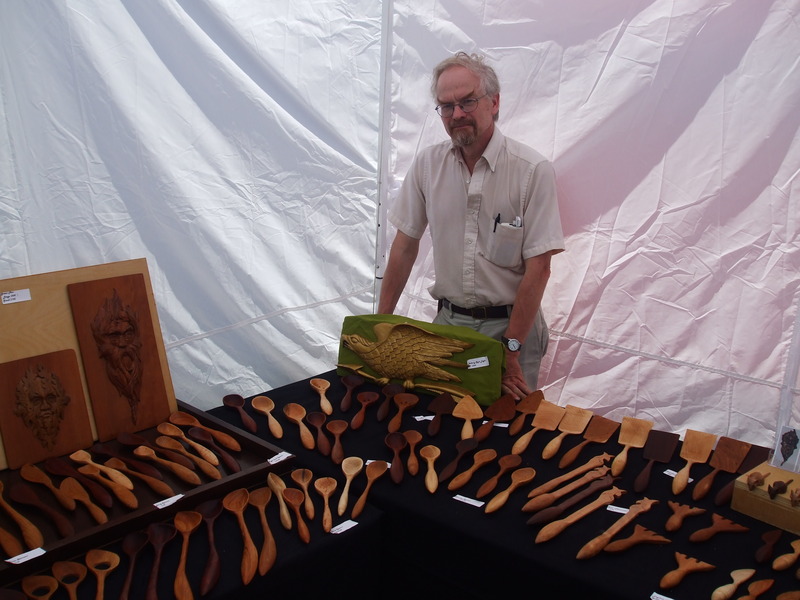 Artist Jonathan Morel standing behind his woodcarved products. Photo by Jason Harris. 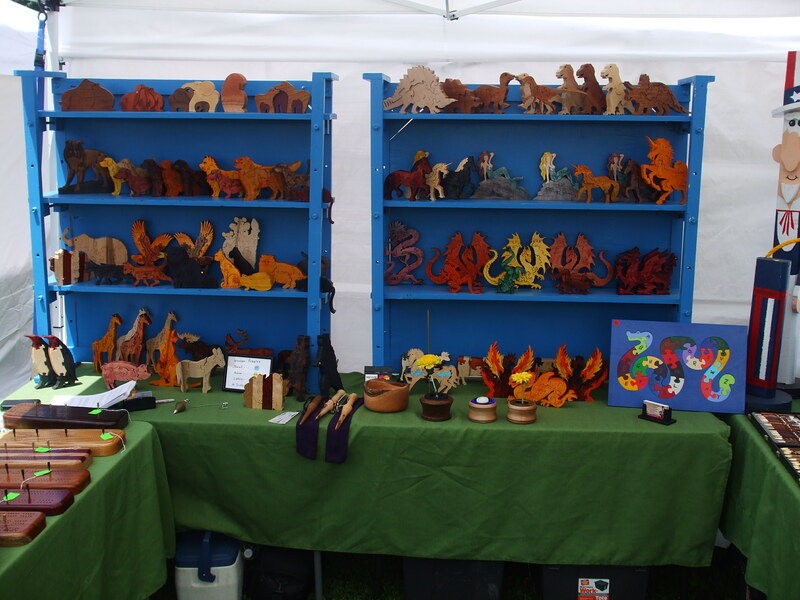 The NEHW met Morel at a craft show in New Haven in May. 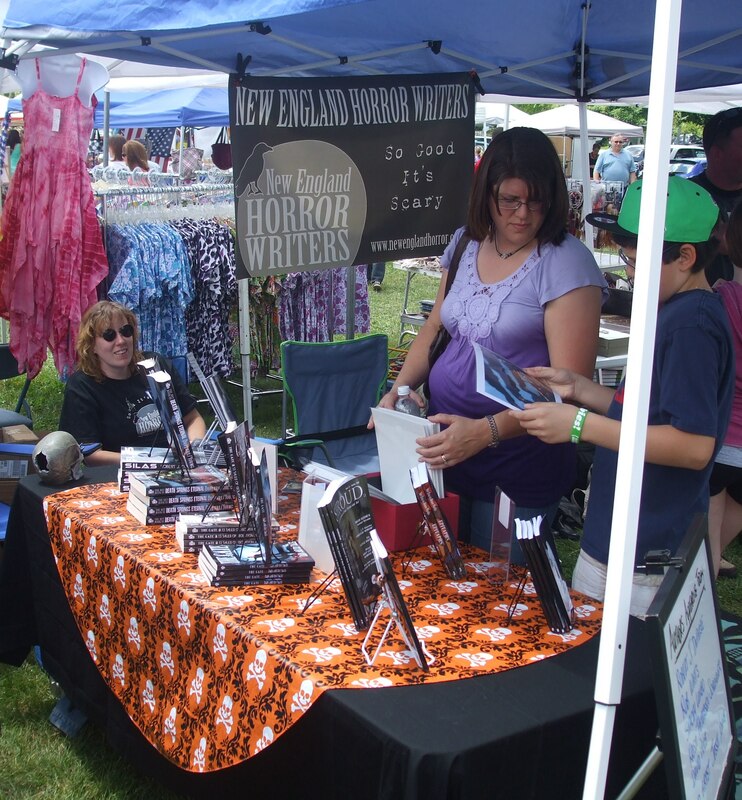 Author Stacey Longo looks at two customers as they browse through NEHW members’ books. Photo by Jason Harris. 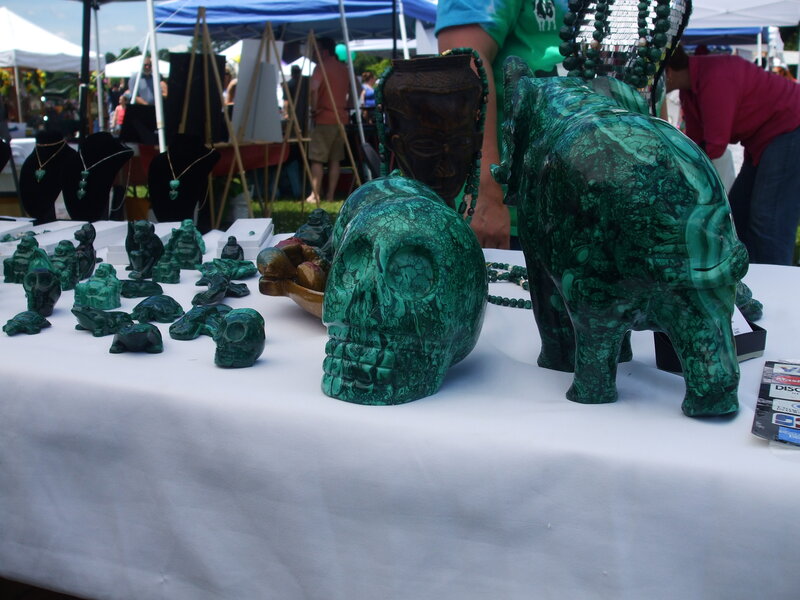 The Malachite Gem Stone table at the Strawberry Fest. Photo by Jason Harris. The Malachite Gem Stone owner, Thomas Balokosiabi, of Enfield, said the skull in the above picture is $1500.00. You can view more of his works on his website, www.tbmalachite.com. Malachite Gem Stone owner Thomas Balokosiabi. Photo by Jason Harris. Author Stacey Longo talks with fan Marilyn Migliore, of East Windsor, as Author David Price looks on. Photo by Jason Harris. 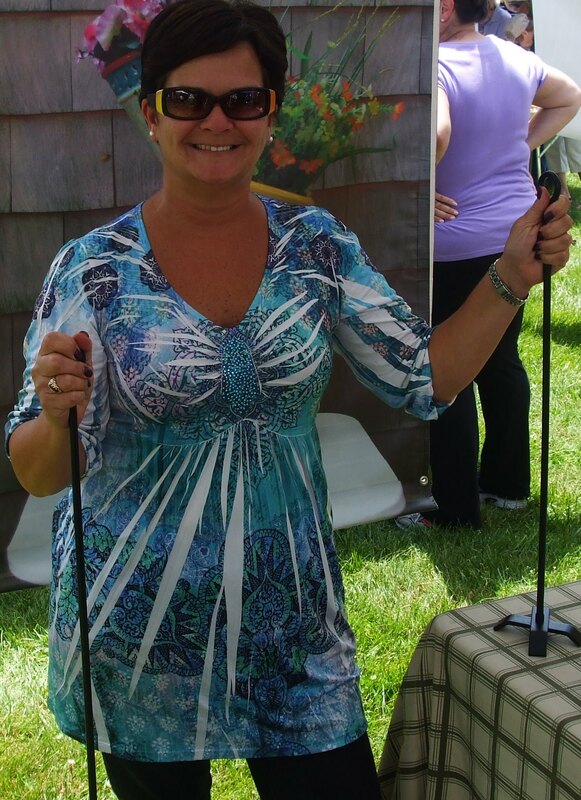 Carrie Barri, owner of Tipsy Tower, LLC. Photo by Jason Harris. Barri, of Carolina, RI., in the above photo is holdering her invention, which she received a patent for in February after it was approved last September. To see her invention and what it does, check out her website, www.tipsytower.com. 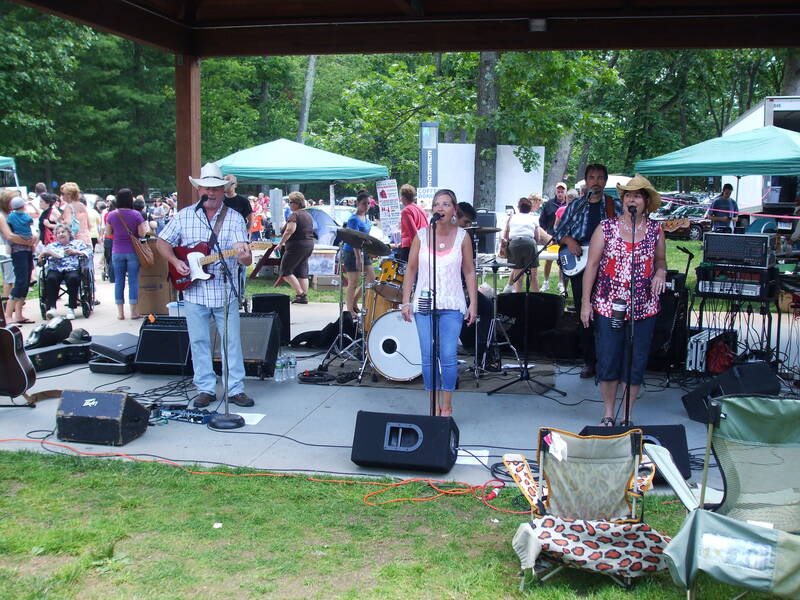 The musical entertainment at the Strawberry Fest. Photo by Jason Harris. 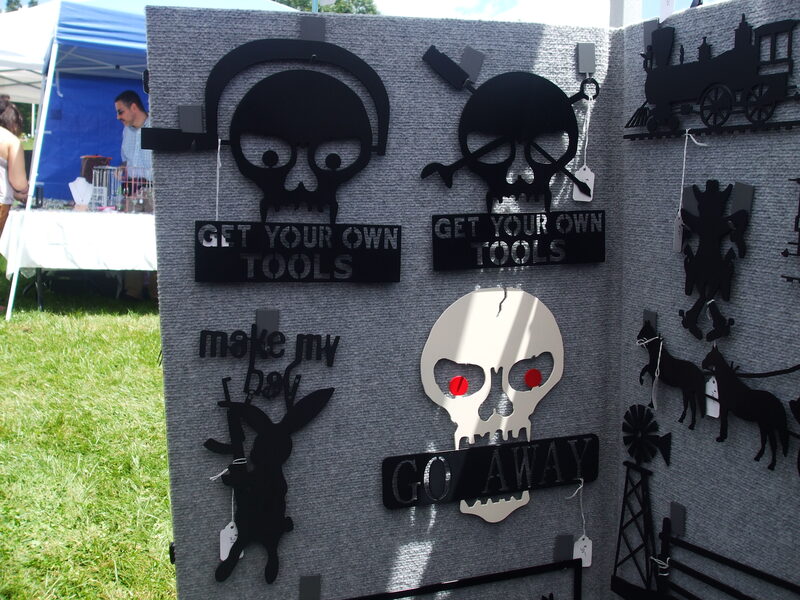 Puzzles by Howard “Skip” Wiley, owner of Harry & Hio’s Woodworking LLC. Photo by Jason Harris. More products by Howard “Skip” Wiley. Photo by Jason Harris. 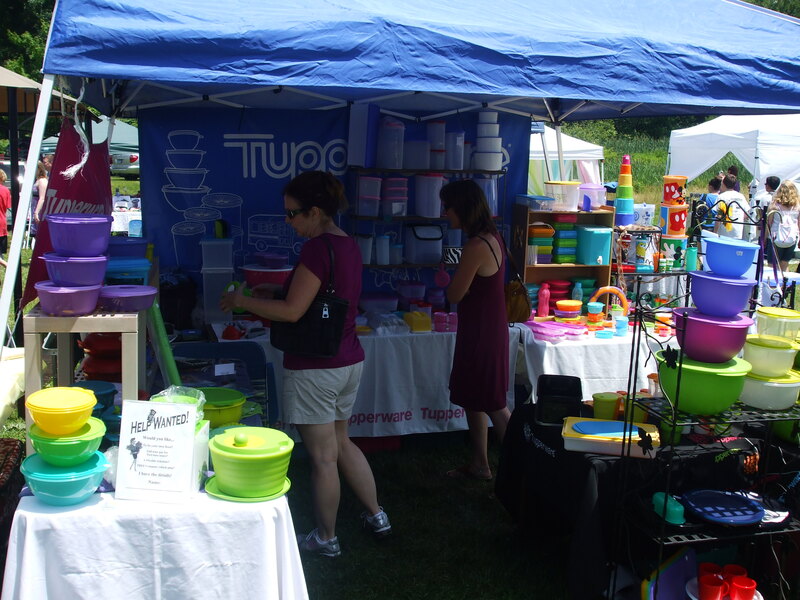 A tupperware container vendor. Photo by Jason Harris. 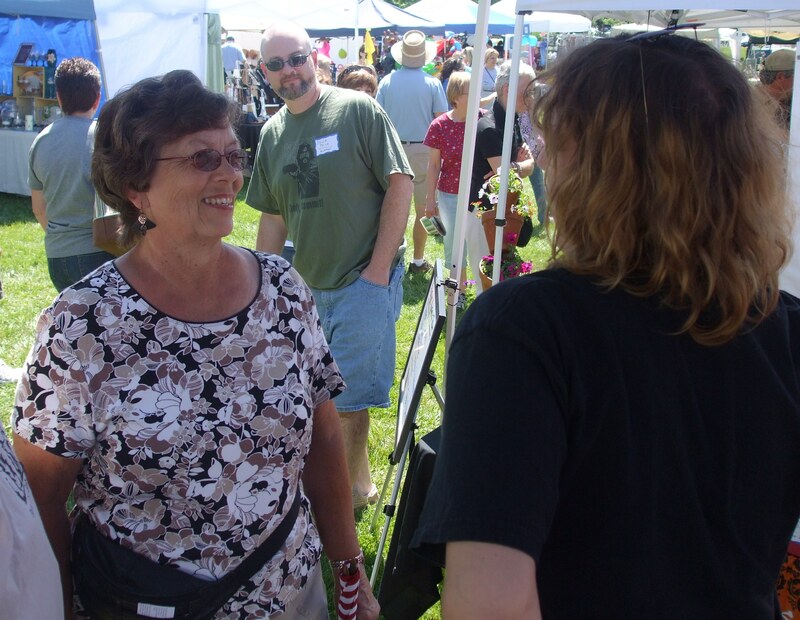 A different view of the South Windsor Strawberry Fest and Craft Fair. Photo by Jason Harris. If you don’t know how to publish your story or novel as an e-book on Barnes and Noble, NEHW Co-Chair Tracy L. Carbone has written a blog entry on her website explaining how she did it. You can read it here. At the moment, this is the first entry on her site so it is at the top of the page. She also has another entry, “How to Waste Money on Marketing,” which you will have to scroll down the page to find. It’s worth the time to search for it. It will save you money. It was announced this week that the fifth issue of Shock Totem will be arriving in July. It was supposed to be released in January, but problems arose. According to Publisher K. Allen Wood, the delay was caused by the lack of good submissions. You can read about it here. The cover for the July issue was also revealed. Check it out below. The cover was done by Mikio Murakami, who has done all the artwork for Shock Totem since issue #3. The issue will be available in print and digital formats. You can preorder the issue here. 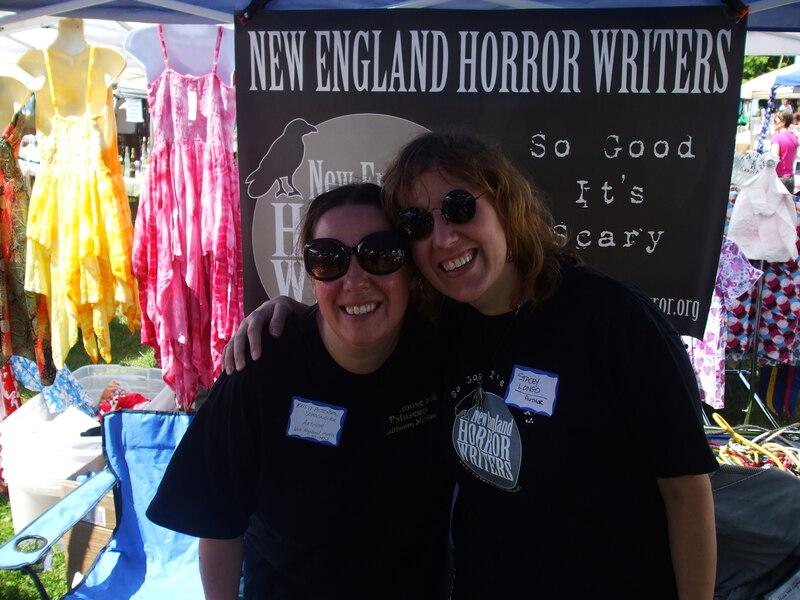 The New England Horror Writers’ Association (NEHW) will be appearing at the South Windsor Strawberry Festival & Craft Fair on Saturday, June 16 from 9:00 a.m. – 5:30 p.m. Published writers and illustrators will be on hand to sell books, magazines, and prints. 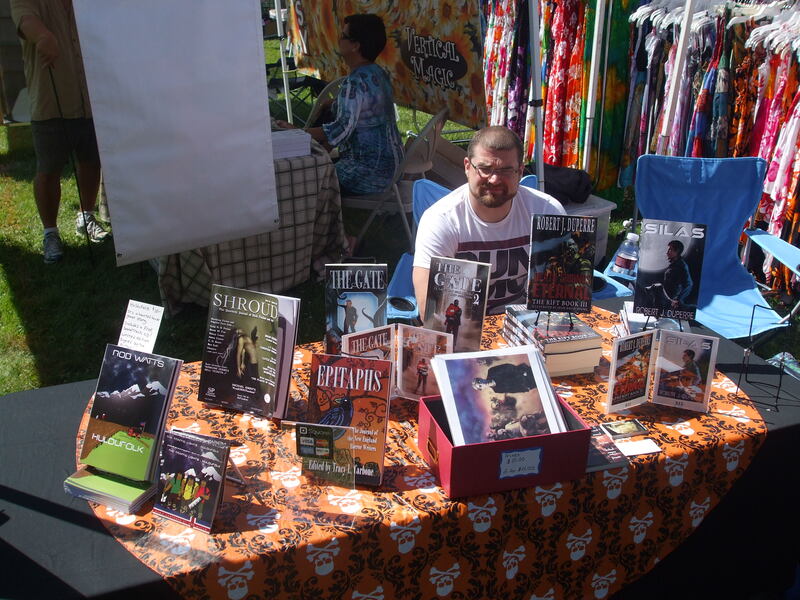 Scheduled to appear at the event is Robert J. Duperre, author of The Gate and Dead of Winter, among other titles. This is Duperre’s first NEHW appearance. He will be available to sign books and answer questions throughout the day. 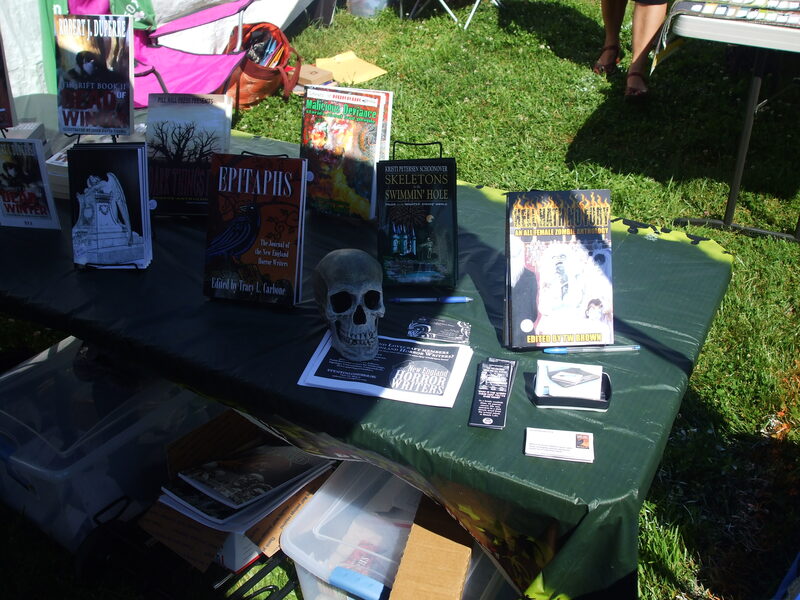 Also on hand will be Stacey Longo, who has had over 15 short stories published in anthologies and magazines, including Epitaphs, Malicious Deviance, Shroud, and Shock Totem. 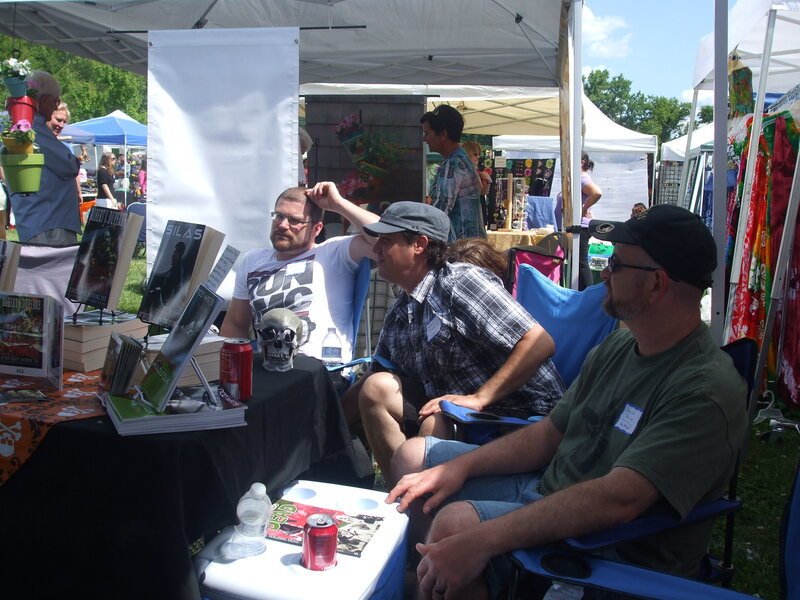 Other writers on hand will be Kristi Petersen Schoonover (Skeletons in the Swimmin’ Hole: Tales from Haunted Disney World, In Poe’s Shadow), Rob Watts (Huldufolk) and David Price (Tales from the Grave). Also appearing will be illustrator Jesse Young. This is also Young’s first appearance at a NEHW event. He has illustrated the cover art for a number of DuPerre’s novels. 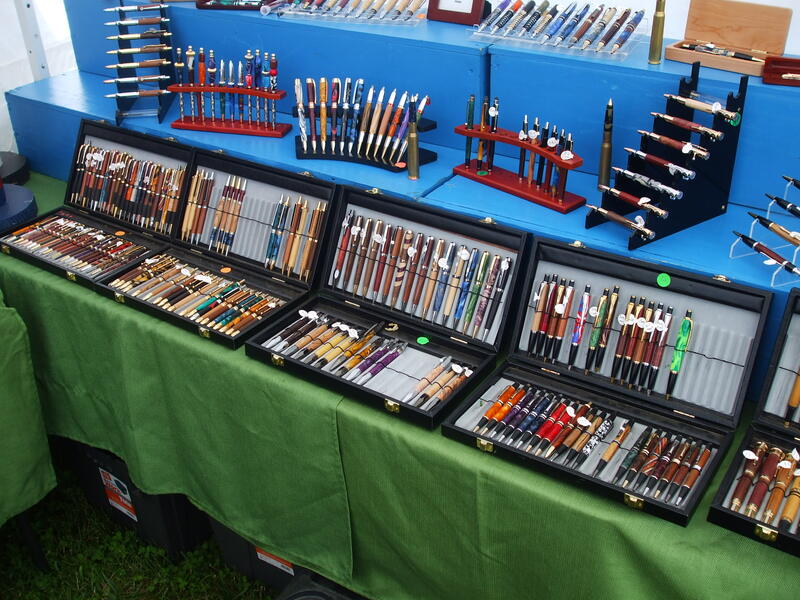 The festival and craft fair is being head at Nevers Road Park, which is across from the South Windsor Police Station. The admission is free. 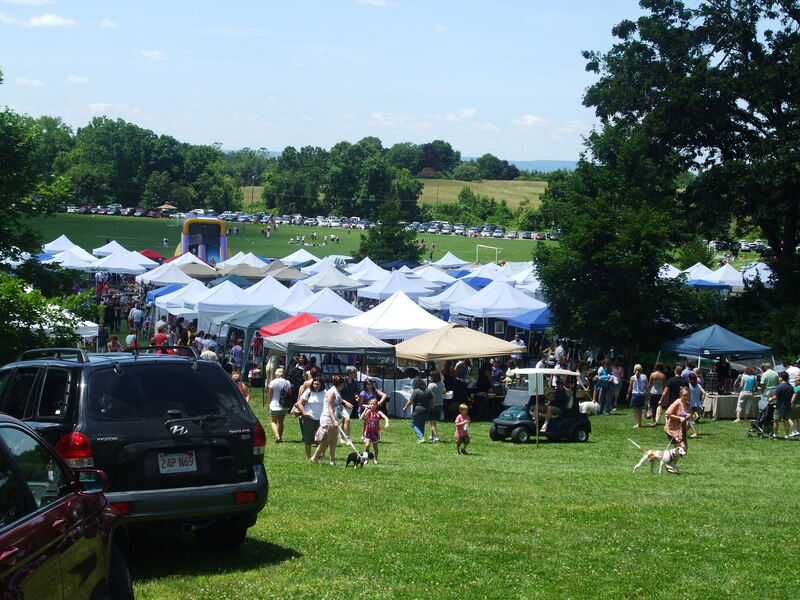 Check out the festival’s website, www.berryfest.org, for more information about entertainment and other vendors.